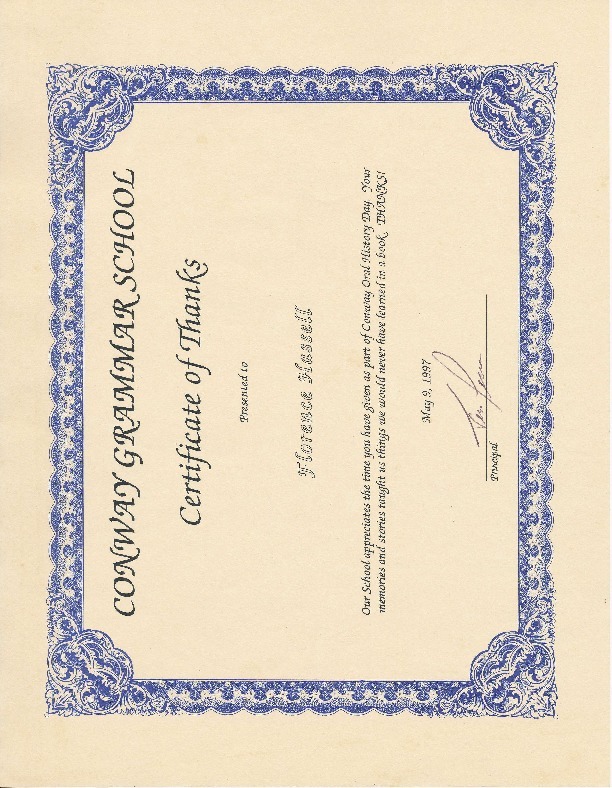 Printed and signed 8 1/2" x 11" certificate issued by the Conway Grammar School to thank Florence Hassell for taking part in "Conway Oral History Day." Signed by Tim Luce, Principal. Conway Grammar School, Conway, Mass. Conway Grammar School, Conway, Mass., “Certificate of Thanks to Florence Hassell,” Conway Historical Society, accessed April 21, 2019, http://conwaymasshistory.org/items/show/854.